Sculptures – Skulpturen | Sommerberg Hotel Bad Wildbad, Herzlich Willkommen im Panoramahotel über dem Enztal! 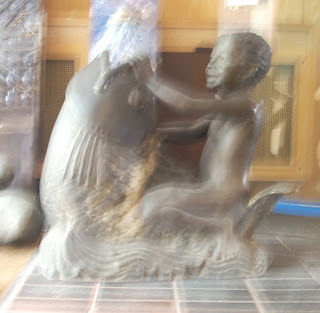 Apart from pottery and ceramics it is also planned to display sculptures in and around the Sommerberg Hotel such as the one shown above. The GaleriaVista project which was originally housed in the old Halter institute building will eventually be moving into the hotel in a new exhibition space of approximately 300sqm where there will also be a café and reading room.